Fake news comes from both sides of the political divide, but Buzzfeed News media editor Craig Silverman thinks the circulation of fake left-wing liberal content will surge. “I have to say, now that Donald Trump is in power, we’ll probably see more liberal misinformation in the United States,” Silverman. 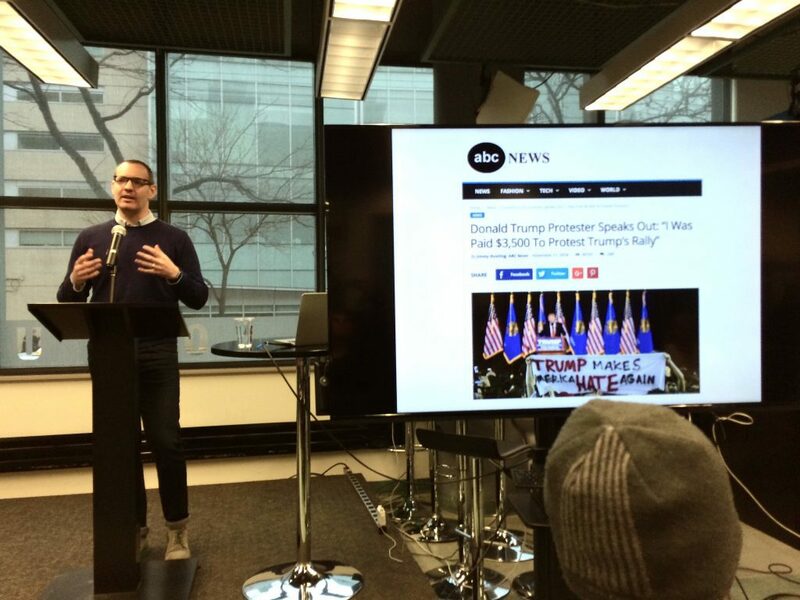 Silverman spoke at the annual Atkinson Lecture hosted by the Ryerson School of Journalism annually. This year’s topic was Fake News, Real Consequences, on Jan. 31. Fake news is shared more on social media than accurate stories are. Three out of five news stories shared on Facebook are fake, said Ryerson journalism professor April Lindgren at the panel. According to Silverman, the reason fake news is so engaging is because of its appeal to emotions rather than a presentation of concrete facts. The overall distrust of mainstream media limits audiences further, and because social media sites such as Facebook are now a mix of both news platform and social sites, audiences are drawn to a single platform rather than to two individual sites. Emily Theodore is a journalist who worked as a reporter and the Social/Engagement Managing Editor for The Ryersonian in 2017.